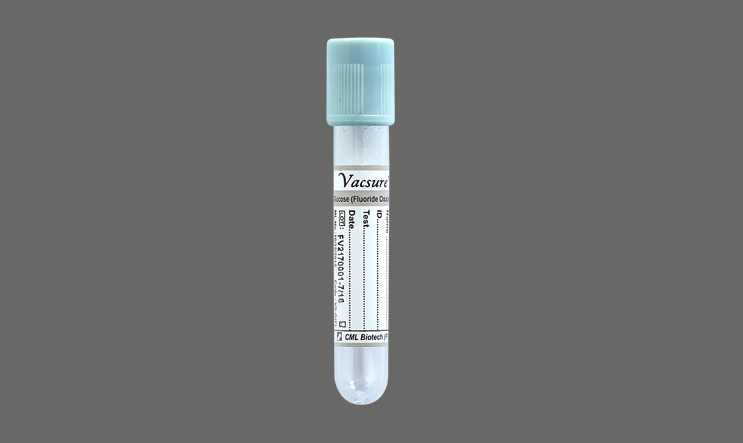 Vacsure Plain tube :- Without additives. These tubes contain an anticoagulant and a stabilizer, potassium oxalate and sodium fluoride. Due to this type of anticoagulant, the Glucose tube effectively prevents metabolism of blood sugar and prevents hemolysis of the blood sample. Mix gently by inversion180° 8-10 times or keep in roller mixer. Centrifuge at 2000-3000 rpm for 10 min. at room temperature. Used for Glucose, Lactate and Glucose Tolerance tests.